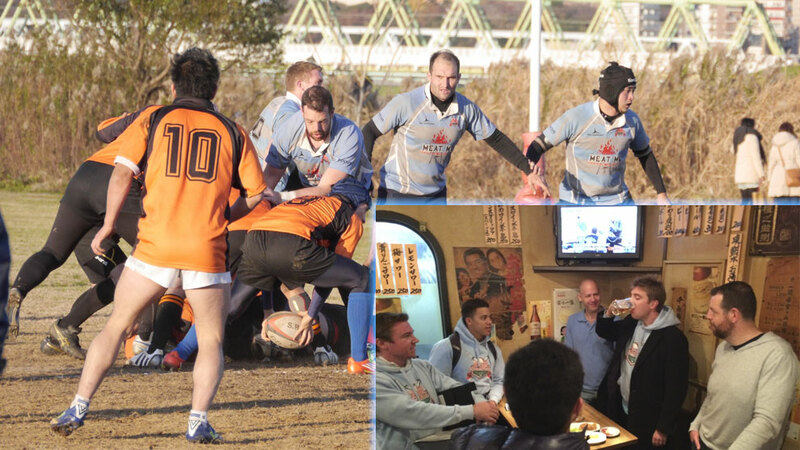 On Sunday the 7th of December, James ‘Shawsey’ Shaw, who plays second row for Blackheath RFC’s social sides visited us out at Edogawa. He was in town on business and thought he’d bring his boots with him and hope for the best. Fortunately, we were playing a friendly match, so James strapped on his boots and threw on a jersey. We sent him out in the latter stages of the first half and he stayed on till the final whistle. And as is the custom, we also introduced him to our local stand-up ‘chippy’ bar for the customary ‘few’ beers after the match. Thanks James, hope you enjoyed your taste of ‘Japanese rugby’.